2014 Richmond Jazz Fest Lineup Announced | Music | Style Weekly - Richmond, VA local news, arts, and events. 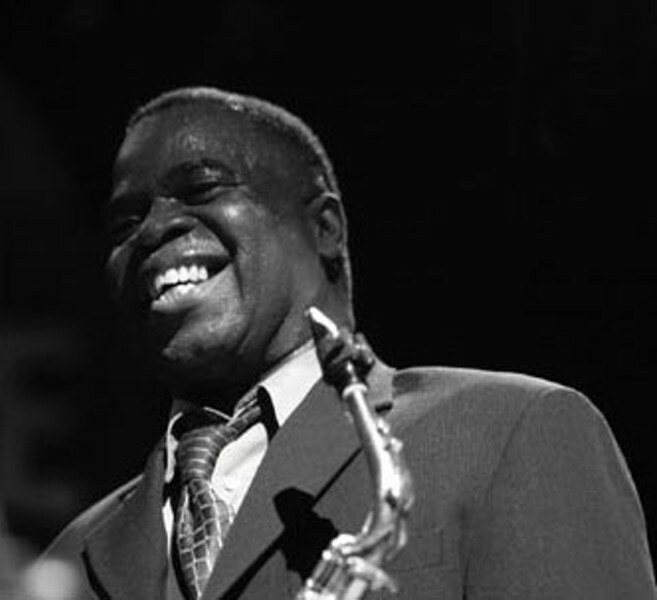 Maceo Parker is just one of James Brown's former sidemen playing at the fifth annual Richmond Jazz Festival in August. After opening remarks by Mayor Dwight Jones and a brief moment of silence for departed Richmond Free Press Publisher Ray Boone, the lineup was announced for the fifth annual Richmond Jazz Festival during an outdoor luncheon at Maymont. This year the event, held, Aug. 7 through Aug. 10, will include opening Thursday night shows at the Virginia Museum of Fine Arts (31 Singers Jazz Trio) and Hardywood Park Craft Brewery (Alison Self Trio). Friday, the Blind Boys of Alabama and Sean Jones Quartet will play at the Hippodrome. The rest of the festival takes place outdoors at Maymont. For the full lineup, see below. This year's headliners include Boz Scaggs and Kenneth "Babyface" Edmonds, and other highlights include Cassandra Wilson, Bill Frisell, Lou Donaldson, Diane Reeves, Regina Carter, Maceo Parker and Fred Wesley and the new JBs. Charlie Agee, director of corporate contributions and community involvement for sponsor Altria, also announced that the company would be sponsoring the event "for at least the next three years in order to keep it in Richmond." This year's sponsors include Altria, the Virginia Tourism Corp., Dominion Resources, Richmond Region Tourism, MeadWestVaco, Ste. Michelle Wine Estates, Richmond BMW, Wells Fargo and the Virginia Lottery. Tickets are available at early-bird pricing until June 15.